Thanks John. The Guardian has just rung me to check the correct terminology. It is an intentionally over simplified question designed to support their misandry views on a child's relationship with its father. I note the misandry comments about the Poll as well, I did not see that coming. 'Misandry' - that shall be my word of the day! Along with 'paranoid'. 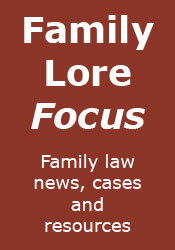 Do divorced fathers have sufficient access rights under current law? This is what the poll closed so way off your facts delivered here! On the contrary! This is entirely what I expected when I took the above screen-shot (and why I took it) - i.e. that the result would be skewed once fathers' rights groups found it. The interesting thing is that, as the screen-shot shows, 'Yes' was heavily favoured before that happened, i.e. by the general population.